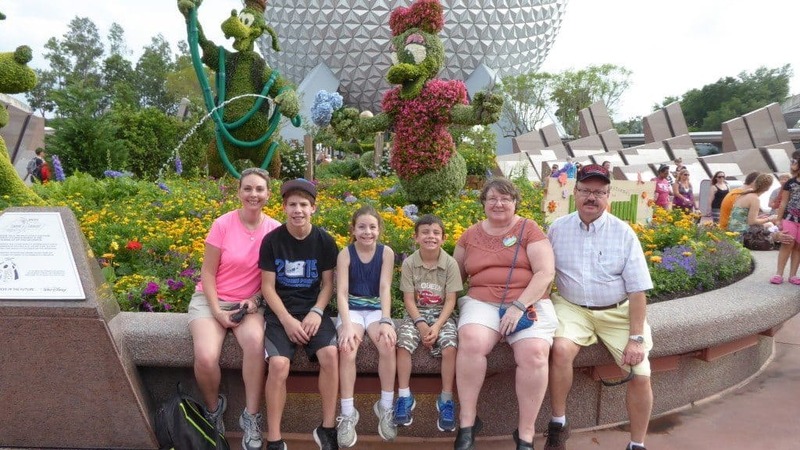 If you are looking to take a multi-generational family vacation, Orlando is a pretty great location. I know what your thinking – It’s for kids. But that’s not really the case. Orlando is home to some of the greatest theme parks in the world: Disney World, Universal Studios, Sea World, Aquatica, Discovery Cove, etc. Not to mention the hundreds of other attractions found here. This is no exaggeration, there’s literally hundreds of things to do in Orlando. With so many activities available it’s easy to find something everyone wants to do. 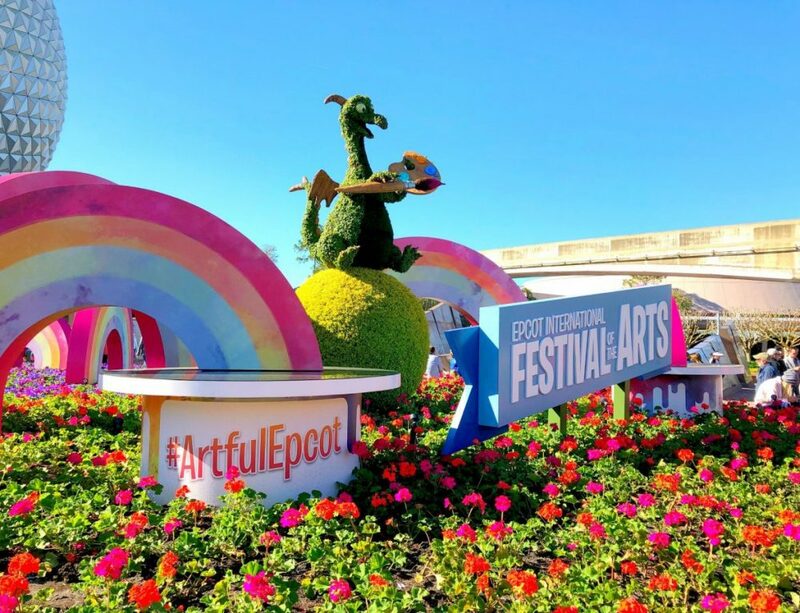 Grandparents, parents, and the kids will appreciate the diversity of shows and restaurant selections including fine dining, themed dining and dinner shows found in Orlando. 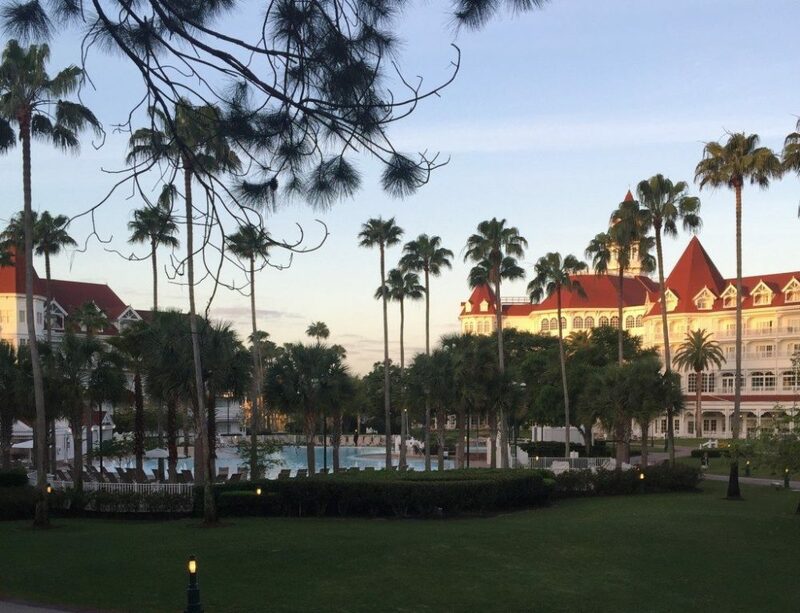 Families will enjoy staying at Saratoga Springs Resort a kid-friendly hotel while in Orlando. This is where we stayed when we vacationed in Orlando with my parents and it so far has been our favorite out of all the places we’ve stayed. (Summer Bay is our 2nd favorite and it would also be an excellent place for families to stay. Saratoga Springs features one and two bedroom condos with full kitchens and living rooms. Plan to stock your room with food for breakfast each morning that way you can get your children fed quick and be off to the theme parks. Kick off your Orlando vacation by spending your day at one of the neatest theme parks you will ever visit, Discovery Cove. Today you will eat breakfast and lunch buffet at Discovery cove because it is an all-inclusive experience. They even offer all you can eat snacks and drinks. With multiple snack stations spread out throughout the park no one in your family will ever have to go hungry. Discovery Cove also provides animal safe sunscreen as well as life jackets, snorkel sets, and wet suits. During the day Discovery Cove offers kid-friendly animal encounters like petting a sloth and meeting a marmoset. Not only is it educational, but your kids will remember it forever. My kids loved getting to pet a sloth! For an extra fee, you can swim with two of the dolphins that live here. If the whole family is participating in the dolphin swim, consider splitting into two different time slots so you can take pictures of each other. They will take pictures for you, but it will cost you! Also, make sure that your dolphin swim doesn’t interfere with any of the other animal encounters. Grandparents and kids alike will love floating along the lazy river. Half way around the river there are spots to get out of the river and enter the bird sanctuary. In here you will have up close interaction with all kinds of birds as you hand feed them. The lazy river is deep. Put your kids in a life jacket if they are not a strong swimmer. Discovery Cove closes early each day typically around 5:30. This leaves your family plenty of time to do something else during the evening. Tonight, enjoy excellent Tex-Mex in Orlando at Chuy’s. Indulge in a plate of enchiladas and a large specialty margarita. Chuy’s can be a rather loud restaurant. If someone is hard of hearing (like grandpa), be sure to ask for a quieter part to be seated in or maybe pick a different restaurant. Warning: if you are from Texas you may feel angry that the food here is not has good as the ones in Texas. It is still good though. After dinner drive over to Disney Springs for a live kid-friendly show La Nouba by Cirque du Soleil. The acts are incredible ensuring that adults will love it and it is exciting enough to hold a younger child’s attention easily. The theater is small which means there are no bad seats inside the La Nouba theater. Today you will be spending most of your day at Sea World. Your admission to Sea World is free because it was included in the admission to Discovery Cove. Sea World is a great place for multi-generational families to visit, because there is a little bit of everything. For younger family members there are huge roller coasters. For older family members there are lots of animal shows to enjoy. Of course kids will love both of those but there is also a special area just for them at Sea World with small rides, a splash pad, and a massive climbing structure. Sea World has a rider switch program for families that have children too short to ride a roller coaster. Sea World offers free admission to military members and their families. Evening: Sea World closes around 7 PM most days, so hold off eating dinner until you leave the park. Sea World is close to International Drive where you will find lots of great kid-friendly restaurants. Cafe Tu Tu Tango is the perfect place for a large family to dine. The menu is all appetizers, so families can order a little bit of everything and share. Plus, depending on which night you visit there will be palm readers and belly dancers. Today is a down day, because although the kids can go and go, parents and grandparents need a day of rest! Saratoga Springs has multiple pools and hot tubs as well as several poolside bars and cafes. Enjoy the day by a pool or two, play table tennis, or basketball, hit the arcade, or take the kids to the playground. You will find all of these activities on-site. For dinner drive over to City Walk and eat at at Cowfish a Burger and Sushi Bar, one of City Walk’s newest restaurants. If possible, make a reservation in advance or at least earlier in the day for 6:00 PM. Here you will enjoy incredible sushi combinations like the Dion’s OMG? Roll made with tempura coconut shrimp, kani, English cucumber, coated in tempura flakes. Topped with fresh mango, avocado, spicy honey marmalade and coconut flakes as well as original burgers like a Black Truffle cheeseburger made with beef, black truffle cheese, roasted shallots, sautéed mushrooms, roasted garlic aioli, and lettuce on a brioche bun. After dinner walk around the lake to the Blue Man Theatre. Blue Man Group performs at 8:00 each night and this kid-friendly show is one that grandparents will love too. Today you will be spending a full day at Epcot. After breakfast, head to the park. In the front of the park you will find some excellent ride experiences like Test Track and Soarin that the whole family will enjoy. Consider eating lunch and dinner at Epcot since there are many desirable restaurants here. Be sure to plan ahead of time where you want to eat. No matter how busy the park is you can always get into Les Halles Boulangerie Patisserie a cafeteria style restaurant with amazing French baked goods that also happens to be one of the cheapest places to eat inside Epcot. Here each person in your family can pick out what they want like a ham and cheese croissant and an exquisite dessert. Wear good shoes and if you need to rent a wheelchair, because Epcot is non stop walking. Tip 2: Make your dinner reservations at Epcot in advance. Tip 3: Find a spot in France or Morocco for the best views of the nighttime fireworks show. Today hit a water park. 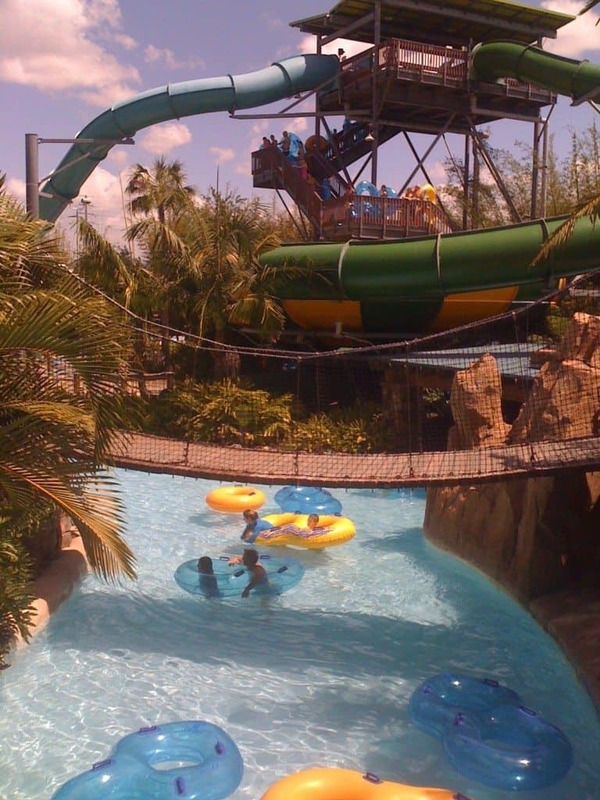 Orlando has many incredible water parks, including Aquatica water park, which happens to be included in your admission to Discovery Cove just like a visit to Sea World was. Aquatica Orlando is an incredible kid-friendly water park with all kinds of water slides, a wave pool, two types of lazy rivers, and an extremely cool kids’ area. Kids can run and play all through the kids area while parents and grandparents relax and soak in the sun. As far as lunch and snacks pre-purchase the Banana Beach Buffet online and eat whenever you like all day long. The buffet has choices like pulled pork, baked chicken, hot dogs, pizza, assorted salads and sides, and dessert and sodas. One price allows you to eat here all day. Evening: Aquatic closes fairly early so you will have plenty of time for a meal the whole family will enjoy. Since this is your last night in Orlando dress up and make it a special night by having meal at the Flying Fish Cafe where you can dine on steaks and fish. To get here park at the Boardwalk Resort, at the gate let them know where you are dining and you will be let in and can park for free. Walk through the resort to the back where the property opens up to the Coney Island style boardwalk, the restaurant will be to the right as you walk towards the lake. You are allowed to split entrees at Flying Fish Cafe as long as you are not on the Disney Dining Plan. You will definitely want to save room for dessert here. Flying Fish has one of the best desserts at Disney World for kids, a white chocolate Mickey Mouse puzzle kids put together and paint with sugar paints. After dinner, go back out to the boardwalk and watch the fireworks. You will be able to see some of the fireworks from Epcot and Disney Studios. Hopefully there will also be boardwalk entertainers out like the jugglers and magicians. 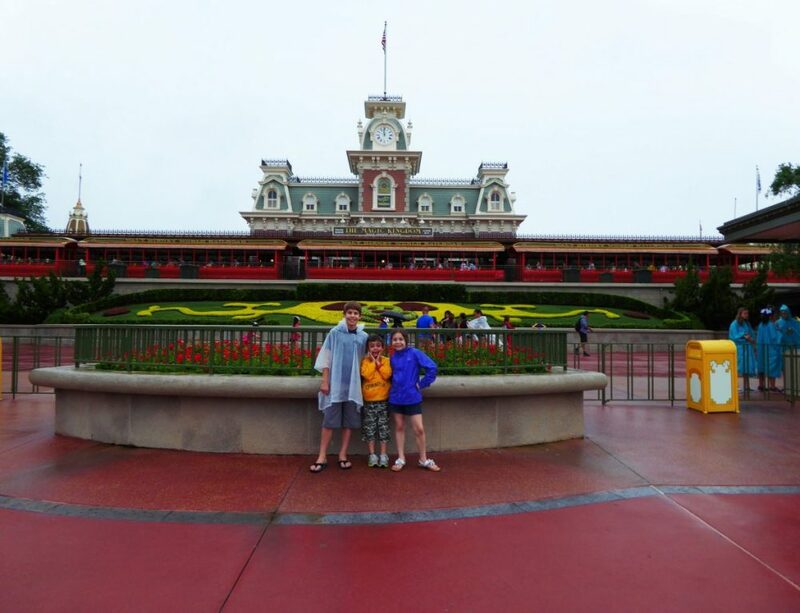 Today you are going to spend all day at the Magic Kingdom. If you like the Disney bus that will take you to the park. That’s one of the perks of staying at Saratoga Springs it’s a Disney resort so you have Disney transportation available to you. You can also drive yourself over if you like and park for free with your hotel parking pass. There is so much to do inside the Magic Kingdom that you probably won’t be able to do it all. Attractions here include the popular Big Thunder Mountain Railroad, Splash Mountain, and Pirates of the Caribbean rides. If your child wants to get their face painted, the best face painting in the park can be found by the bathrooms near Space Mountain. The cost is around $15 and it doesn’t take long. For lunch, dine at Sleepy Hollow or Be My Guest. Sleepy Hollow only has outdoor seating, but their waffle sandwiches are awesome and they have a great view of the afternoon parade. Be My Guest is inside Beast’s Castle from Beauty and the Beast. Here, you dine on whatever they are offering, most likely sandwiches, and sit in one of three rooms in the castle. Sit in the dark room with the magic rose and keep an eye on the Beast’s portrait. Stay in the park for a late dinner. If you want to have dinner at Be Our Guest you need to make reservations months in advance. If you want something cheaper like hamburgers, go to Cosmic Rays. After dinner keep riding rides until it’s time for the night time parade. Find a spot for the parade that is also a good viewing spot of the fireworks. Anything too close to the castle is not the best. You do not want to have to look straight up into the air. The nighttime parade and afternoon parade are completely different.